Tourism stats are spiking ever higher and this means Israel needs to up its game to accommodate the crowds. 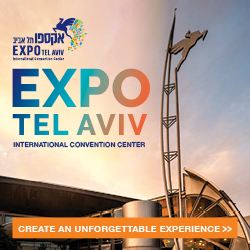 As reported on Janglo.net via ISRAEL21c.org, several exciting infrastructure projects are in the works to make touring Israel more convenient, memorable and accessible. Tourism stats are spiking ever higher and this means Israel needs to up its game to accommodate the crowds. During 2017, a record 3.6 million tourists entered Israel, a 25 percent increase over 2016. Between January and June 2018, a record-breaking 2 million tourist entries were recorded, a 19% increase on the same period last year. 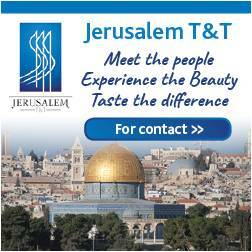 The most popular destinations are Jerusalem, Tel Aviv-Jaffa, the Dead Sea, Tiberias and the Galilee. 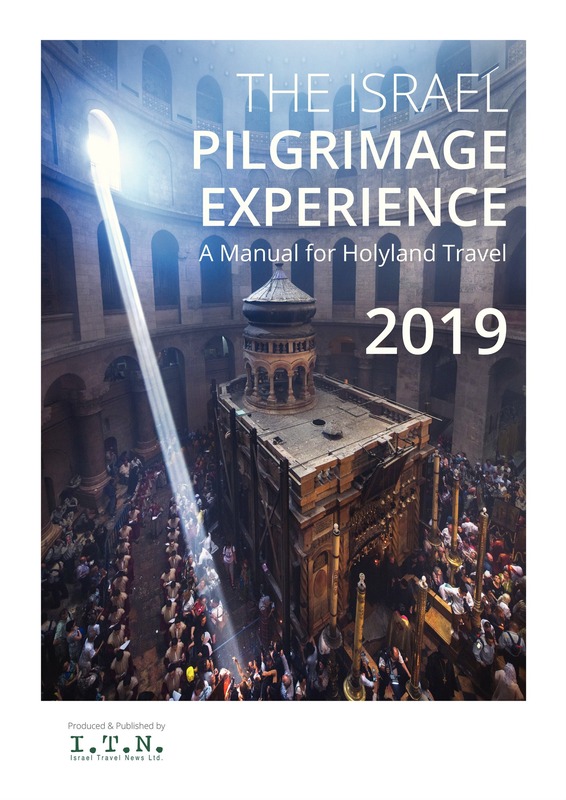 About 85% of tourists to Israel visit the iconic religious sites in the Old City of Jerusalem. However, accessibility tends to be problematic. Buses and cars battle heavy traffic; parking is inadequate and pedestrians encounter stairs, uneven cobblestones and narrow alleys. That’s why Minister of Tourism Yariv Levin wasn’t exaggerating when he said that a planned cable car “will change the face of Jerusalem, offering tourists and visitors easy and comfortable access to the Western Wall, and will serve as an outstanding tourism attraction in its own right.” Last May, the government approved Levin’s proposal to invest $56 million in building a 1,400-meter cable car route from the First Station leisure compound nearby (offering ample parking and bus transportation) to the Dung Gate, the entrance nearest to the Western Wall. 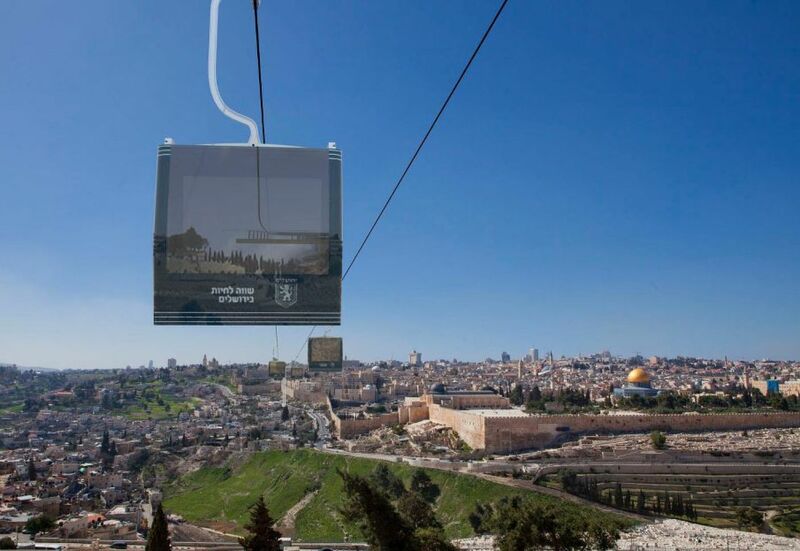 Estimated to be operational in 2021, the cable car will stop along the way at the Mount of Olives, Mount Zion and City of David. An estimated 3,000 people could be transported hourly in each direction. This extraordinary rail line will revolutionize travel between the country’s two biggest cities, replacing a traffic-snarled 60-kilometer (37-mile) trip of about an hour, or sometimes more in rush hour, with a smooth journey of under 30 minutes. The fast rail will service Ben-Gurion International Airport, Tel Aviv’s four railway stations and a transportation hub alongside Jerusalem’s Central Bus Station and light rail. Whenever it does start running, perhaps in late September, the fast rail eventually will have four double-decker trains in each direction every hour, each accommodating about 1,000 passengers. Take a ride on Jacob’s Ladder and hold on tight for the People of the Book roller coaster — two of the 16 rides planned for Park Pla-im (Park of Wonders) to be constructed in the southern city of Dimona. 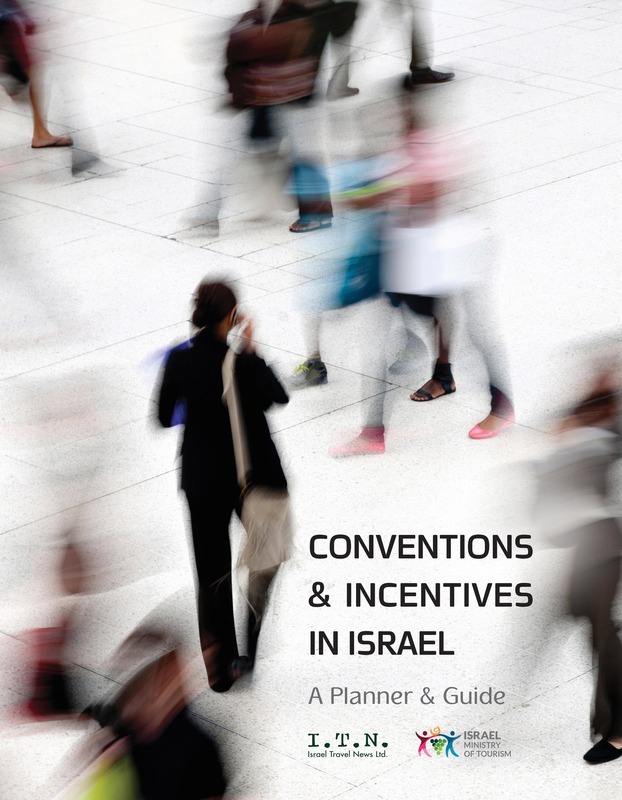 Advertised as a Jewish theme park promoting universal values, Park Pla-im reportedly has been designed by ITEC Entertainment of Florida, which designs theme parks internationally. The projected opening date is 2023. Hotels and other tourist amenities are planned near the theme park, with potential for turning this desert town south of Beersheva and the Dead Sea into an inviting attraction. There’s already a luxury hotel in town, the Drachim. Located 18 kilometers north of Eilat, Israel’s new 34,000-square-meter international airport will replace the Eilat J. Hozman Airport in the center of Eilat and Ovda Airport 60 kilometers north of the city. It is expected that the new airport – slated to open in early 2019 – will lead to even greater numbers of domestic and foreign tourists. The Crusader Wall Promenade, a newly opened tourist attraction at Caesarea Harbor National Park, involved the preservation and renovation of the Roman-era beach promenade, walls, fortifications and towers as well as the Crusader market. The Crusader Wall Promenade is part of a larger tourism initiative in the 2,000-year-old port city, which boasts many archeological ruins and attracts half a million visitors every year. A 200-meter-long stretch of shoreline on the Gulf of Eilat adjacent to the Dolphin Reef is being developed as an ecological beach and environmental education center. Bedouin-style accommodations – desert khans or tents in the Negev or Galilee – are popular with low-budget and back-to-nature tourists. In the near future there will be a new option in Bedouin tourism experiences in Israel: the world’s first hotel in a Bedouin village. The 120-room, 4-star hotel will be built at the foot of Mount Tabor in the village of Shibli-Umm al-Ghanam.